Golden Years Vintage Market has teamed up with the annual Paradise Road Show which will take place on Saturday, January 12th - Sunday 13th, 2019 at the Saguaro Hotel in Palm Springs. Accepted vintage vendors will pop-up on 'Golden Years Drive' which in the Saguaro Hotel’s own private parking lot alongside the vintage car show. This is a ticketed event. Attendees can purchase tickets at this link. This show is family and dog friendly. Criteria: Vendors are selected based upon the quality of their items, curation of their shops & booth presentation. We are currently only looking for vendors with 1970's and older goods, including, but not limited to, vintage clothing and accessories, house-wears, antiques, or anything car or motorcycle related. Vendors must have a shop name or "brand." Spaces: All approved vendors will have the option of a 10’x10’ or 10'x20' space, for the full weekend (Sat-Sun) only, which will be assigned closer to the event. Booth sharing is allowed only in 10x20 spaces with a maximum of two vendors. Any vendor wishing to sell must go through the application process, this includes each vendor sharing a 10x20. All vendors will be outside on 'Golden Years Drive' for this show. You will need to bring your own tent, tables, chairs, or whatever else you need to set up your booth. There won’t be any electricity available. $200 for a 10’x10’ for the full weekend. $350 for a 10'x20' for the full weekend. Approval: Applicants will be confirmed by email within 1-2 weeks of submission. If you have not heard from us, that most likely means you have not been selected for this event. We have limited space and will accept submissions until all booths are filled or until January 1st, which ever comes first. Payment: Your payment will be due once you have been approved. We will send you a PayPal invoice that is due immediately upon received. Setup/Breakdown: Setup time is between 7AM and 9:30 AM on Saturday morning. Vendors can leave booths set up over-night as we will have over-night security. We recommend bringing some type of coverage for over-night such as tarps/etc. More detailed information will be emailed to you in our vendor information packet. Accommodations: Participation in the Paradise Road Show includes event admission for vendors. Additional tickets can be purchased at this link or at the entrance of the event. Admission includes access to all of the event. For lodging, use this link or the code PDRVENDOR for the Saguaro Hotel to get a flat rate of $149 per night with resort fees waived. Note: We will be reposting images and featuring our vendors on the @goldenyearsmarket Instagram leading up to the event! If sharing, what is the shop name of the vendor you are sharing with? 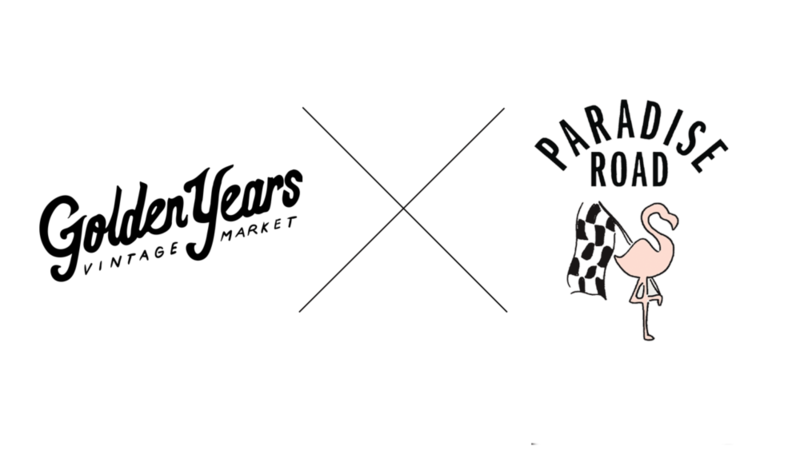 We have received your Paradise Road Show application! Applicants will be confirmed by email 2 weeks prior to event. If you have not heard from us, that most likely means you have not been selected for this event.